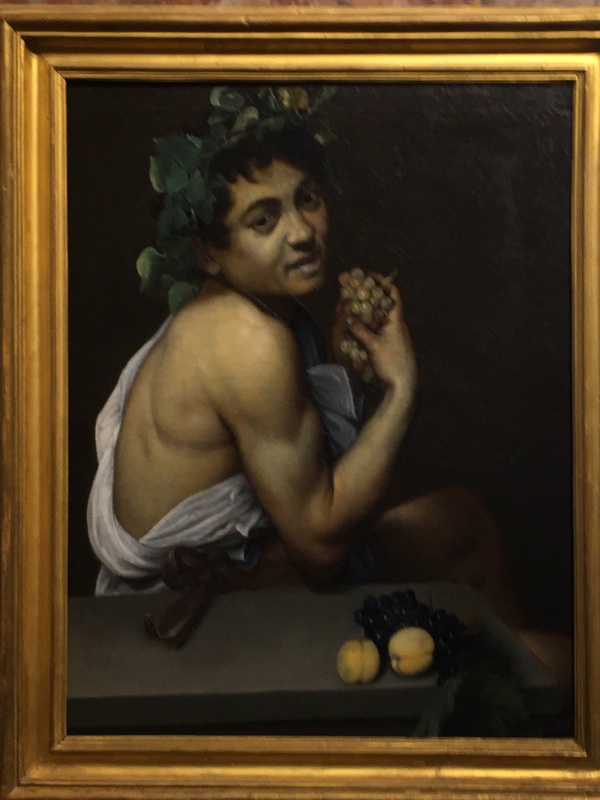 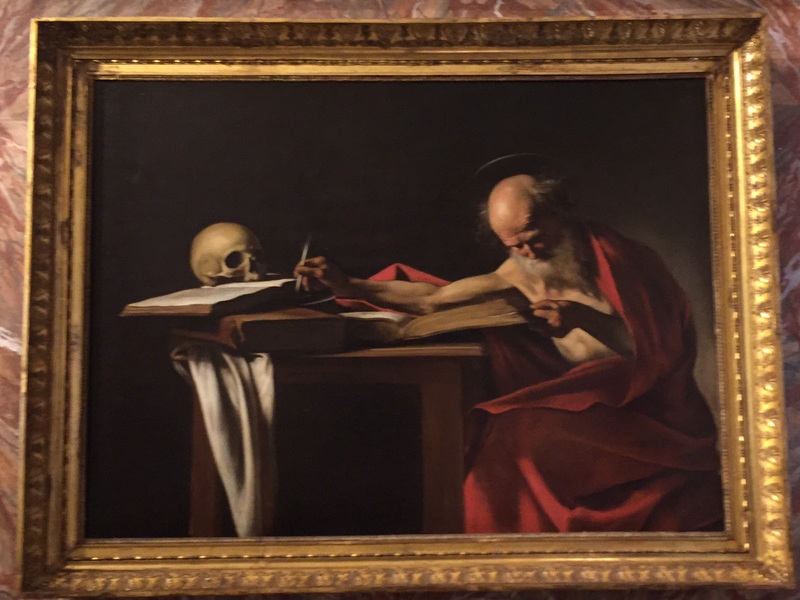 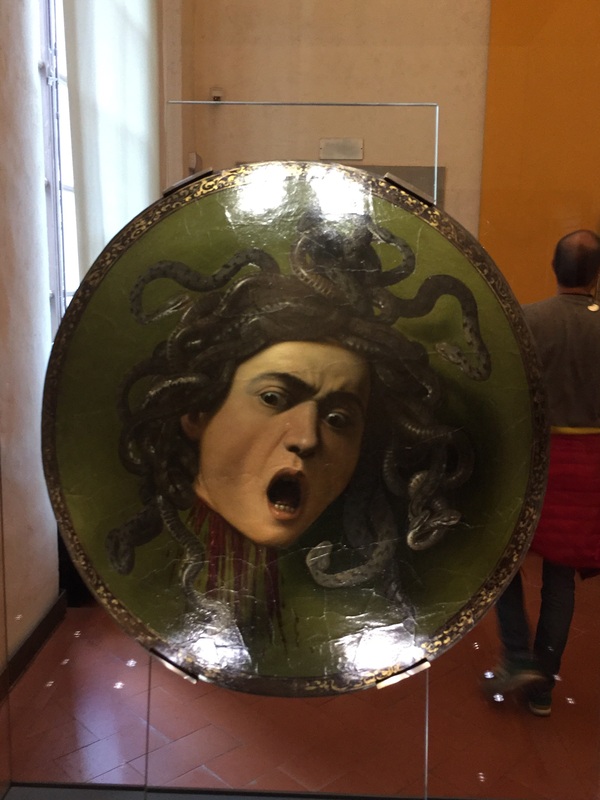 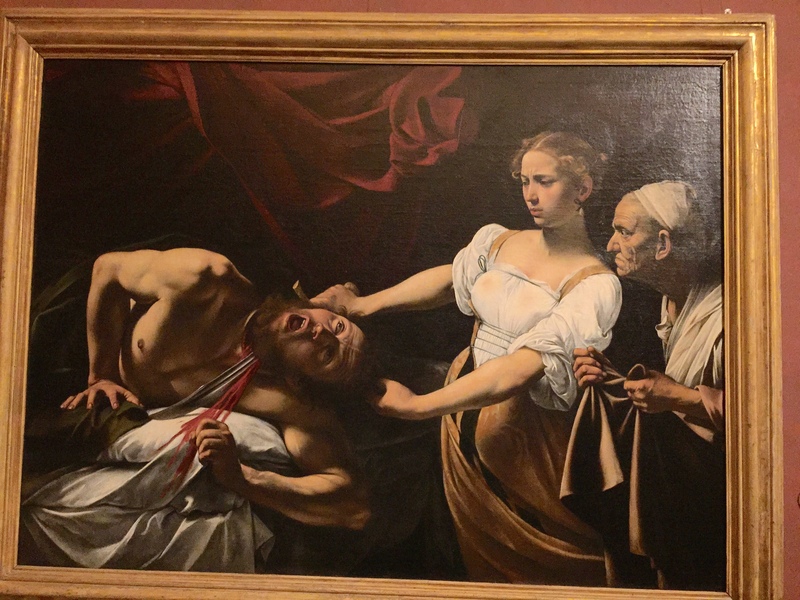 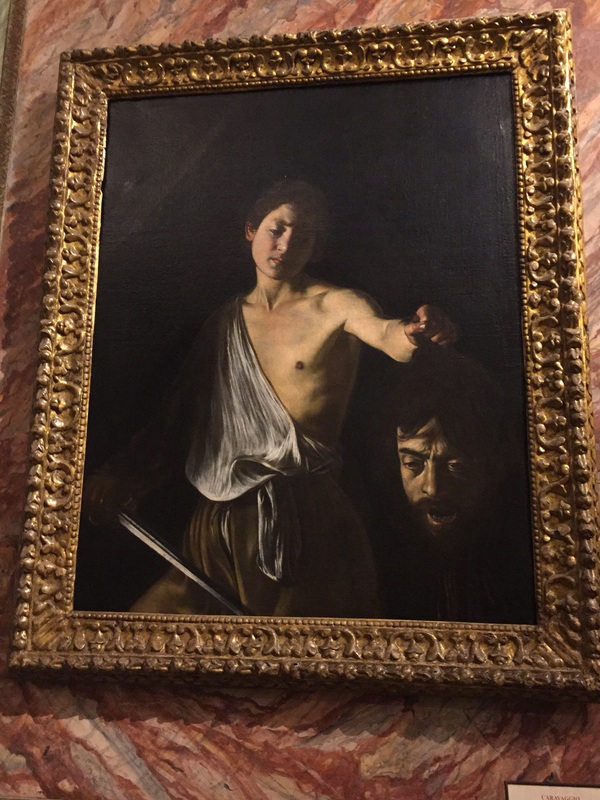 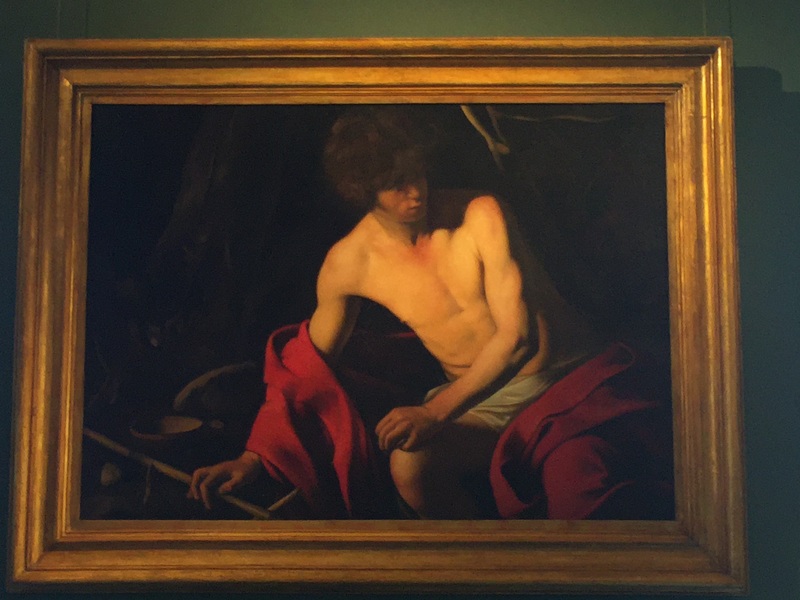 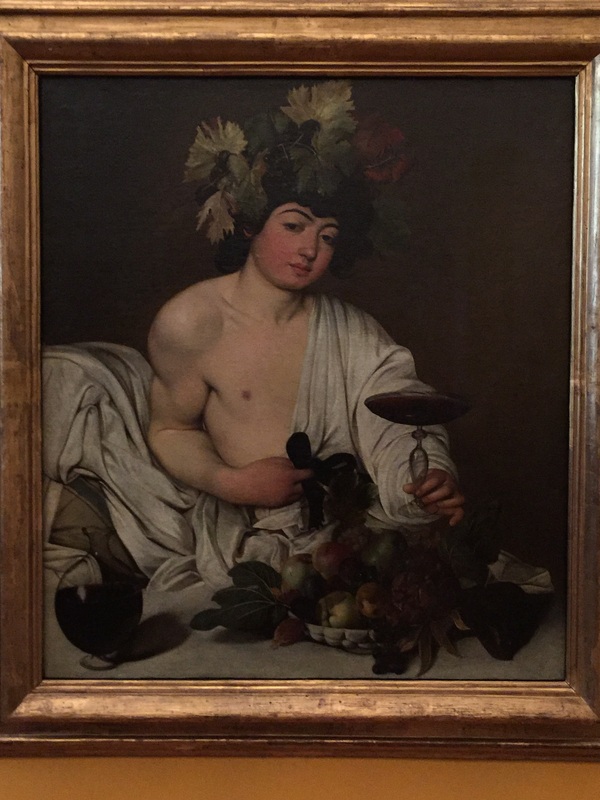 One of the things I wanted to do on this trip was to see as many of the Caravaggio paintings as I could. 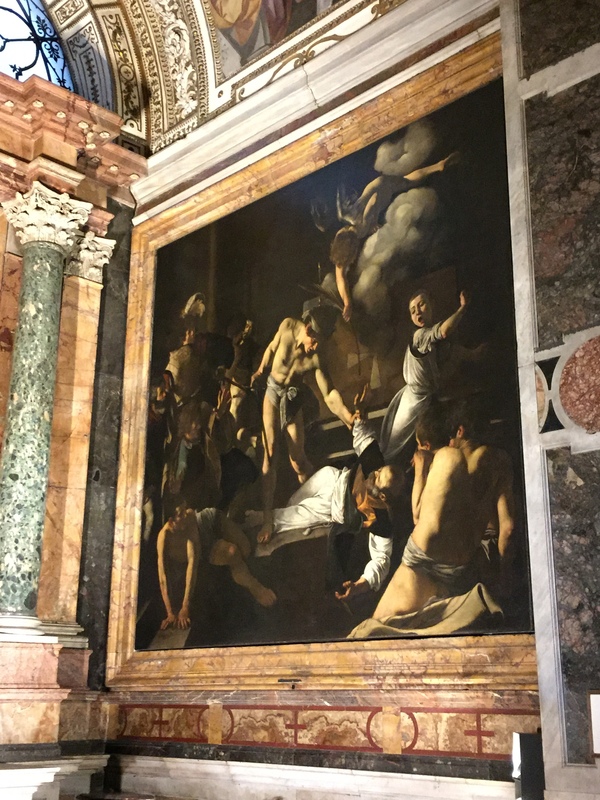 I only missed four of the paintings in Rome – The Deposition of Christ, The Martyrdom of St. Ursula, Madonna of Loreto, and Saint Francis in Meditation. 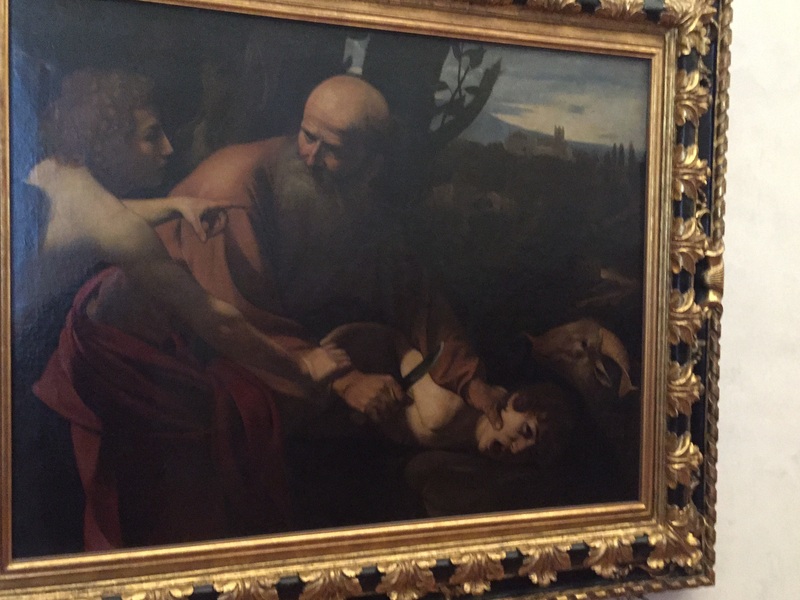 On this trip I got to see the three in Florence as well. 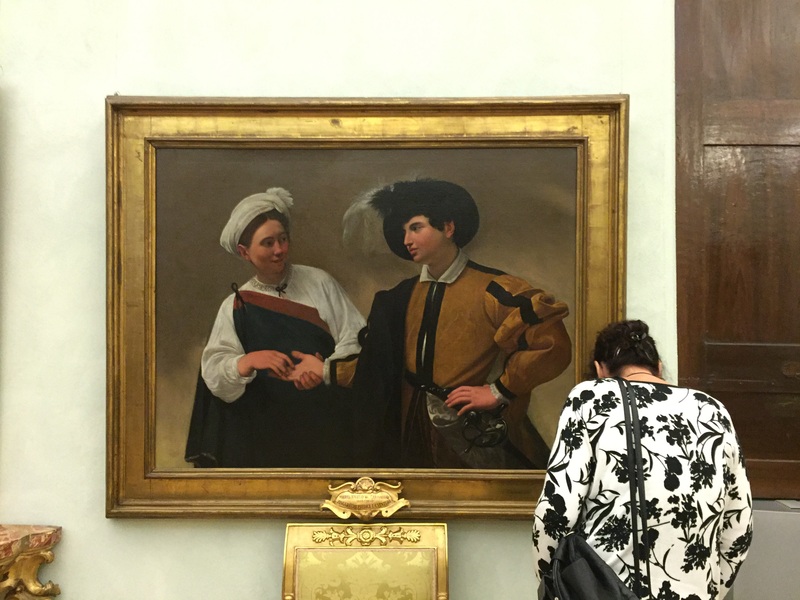 It will take at least two more trips to Italy to catch the rest of them, as they’re scattered in Milan, Naples, Cremona, Messina and on the Island of Malta (which is technically a separate country, but it’s close enough you can fly there from Rome for under $200 r/t). 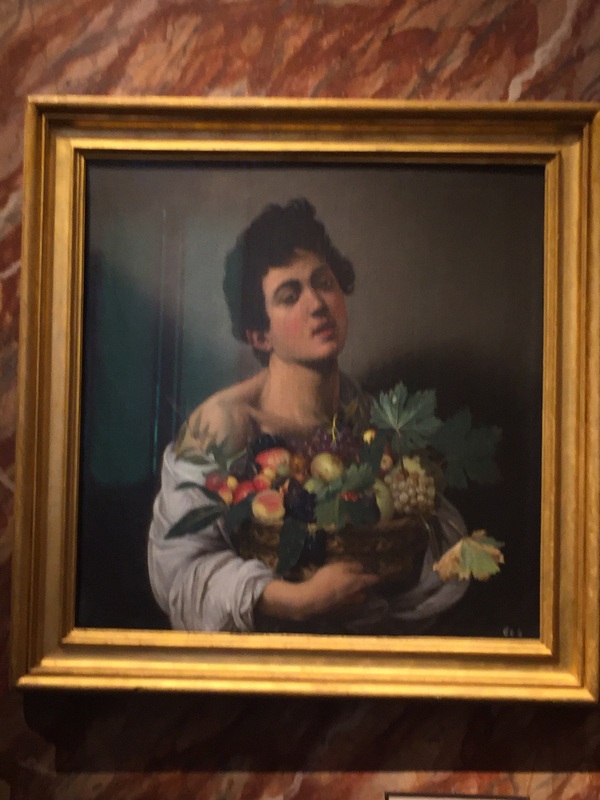 There are a few more scattered around the world, in London, Dublin, Berlin, Vienna, St. Petersburg, and one or two more European cities, plus two in the US I haven’t seen yet. 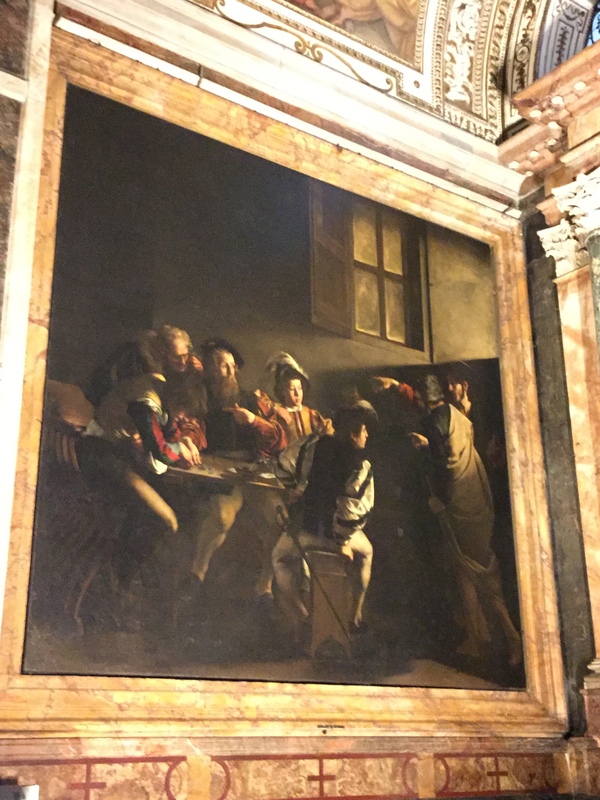 The photos here capture most of the ones I saw on this trip, but not all, as some were very poorly lit and/or too difficult to photograph because of placement. 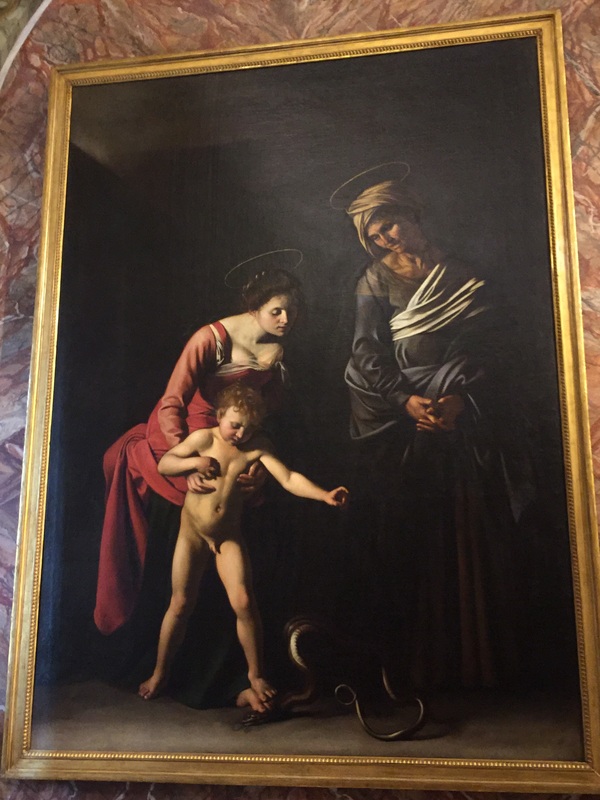 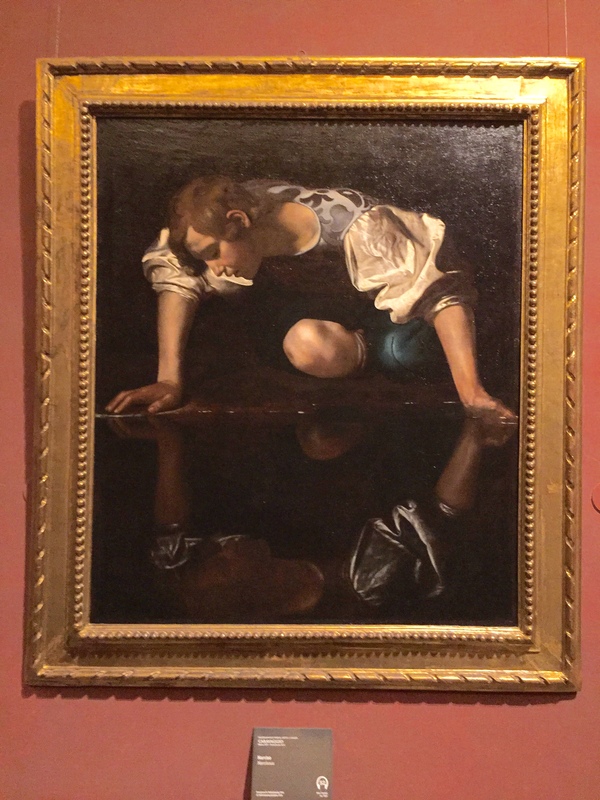 For example, the other tourists at the Palazzo Doria-Pamphilij who wouldn’t get out of the way combined with the lighting placement creating a glare spot on the canvas no matter the angle made it not worth attempting. 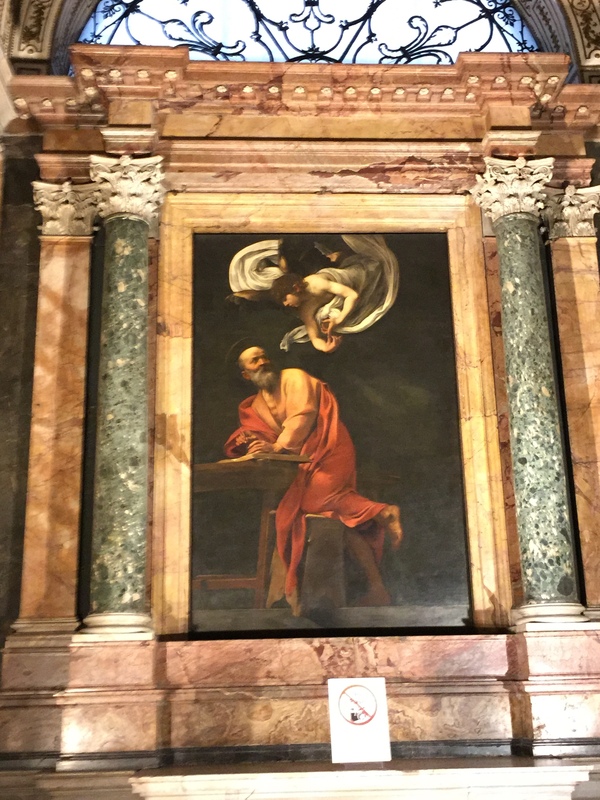 The altarpiece and side pieces at Santa Maria Del Popolo were too high up, at a steep angle, and even with the 1€-per-5-minutes lighting, the space was dark and chapel rail put you too far back to get a good photograph.